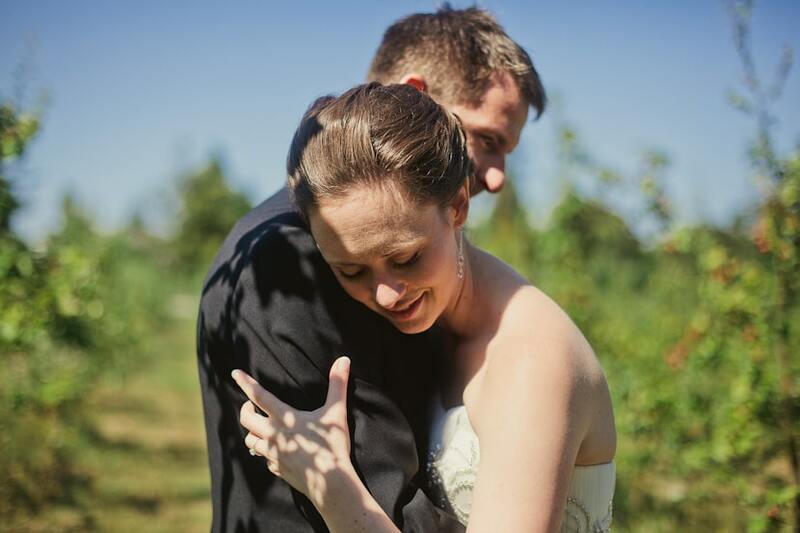 I love this wedding – it’s so beautiful and elegant, yet full of love and laughter. The ceremony and reception were held at Sea Cider, where the planners have got it together. They had gorgeous table arrangements for dinner out in the tent and a super stylish candy buffett. The cider house makes a perfect venue for dancing at a small wedding. Bryan and Ashley are adorable and sweet. They just looked so very happy throughout the day. Their speeches had me crying and laughing behind my camera. Their family and friends mostly travelled from Ontario (and some other places) to attend their wedding in Victoria on a Thursday evening – that always makes for an intimate, loving wedding. They hired a musician, Paul O’Brien, who brought along his ridiculously talented kids to perform at the ceremony and had a fiddler join him for the reception. I adore live music at weddings, especially when it’s this good. It really set the mood throughout the ceremony and cocktail hour and made for some lively fun at the reception. Someone requested The Macarena and Paul obliged, noting that he’d never played it before. There were also some energetic attempts at Irish dancing. Pretty much everyone was getting into the dancing and music. Such a beautiful celebration.